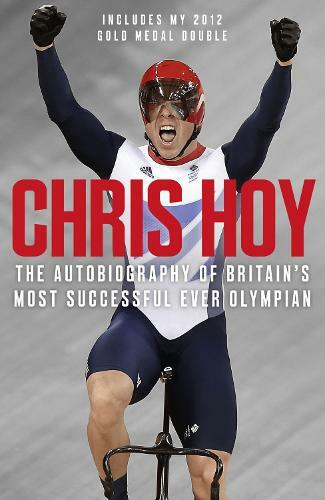 Fully updated to include Sir Chris Hoy's incredible, record-breaking golds at London 2012 (making him his country's greatest ever Olympian), this is the story of a sporting legend in his own words. This 33-year-old cycling fanatic from Murrayfield in the suburbs of Edinburgh defied the doubters who thought he would struggle when his specialist discipline, the 1km time trial, was dropped from the Olympics, and went on to reinvent himself as a track cycling sprinter and triple Olympic gold medallist in Beijing. His return to these shores sparked unprecedented celebrations and real admiration that here was a role model who was the epitome of all things that are good in sport. What makes a champion in sport? In his autobiography, Hoy returns to his roots as a child fully engaged with the BMX craze of the Eighties; when, even as a seven year old his will to succeed allied to an unyielding mental strength set him apart from other youngsters of his age. A promising rower and rugby player in school, it was when he joined his first local cycling club and spent most weekends of the year competing in national events from Blackpool to Bristol that the seeds of his future career were sown. With the devoted support of his family, Hoy drove himself to the pinnacle of his sport at the same time as British track cycling established itself as a pioneering force on the world stage. In the wake of his unparalleled achievements at London 2012, which filled the whole country with pride, there is no sporting icon better placed to demonstrate what it takes to reach the top than Sir Chris Hoy.